If you’re looking for a good lung burner and test of how hard you can mentally push yourself you have found it. We did this WOD a couple of days ago in the gym and it is brutally awesome. It’s pure GO! Set your monitor for intervals distance with 250m of work and undefined rest. 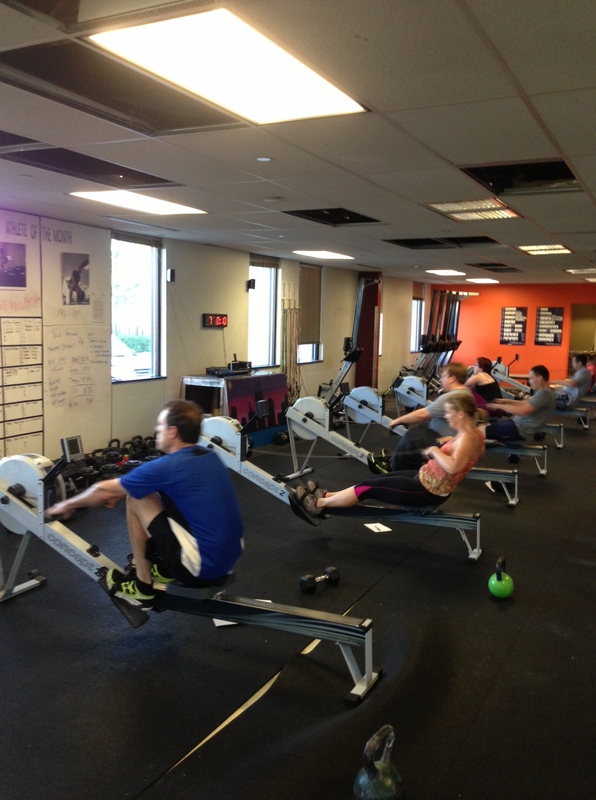 Once you start rowing the monitor will serve as your clock for the workout. Focus on holding a split somewhere between 2k to 2k+5 pace. Whatever split you decide on be consistent and stick to it each round. Fight for form and efficiency. Make sure every ounce of energy you put out goes into efficiently holding that split. This is a great opportunity to practice a quick release for competition. When you finish the row, place both thumbs on the quick release tabs. In one motion push the tabs away as you pull your toes toward you. This will ensure you can pull your feet out easily and there will be plenty of room to put them back in at the start of the next round. I highly recommend recruiting a couple of training partners to do this with. It’ll make you push harder and you’ll have more fun. Post your time and average splits for each row to comments. This entry was posted in Fitness, Rowing, Strength and tagged endurance sports, exercise, functional movements, mental toughness, mental-health, rowing, sports, training by Renegade Rowing. Bookmark the permalink. 15:35 of HATRED! Come on boys, don’t puss out on a few burpees!